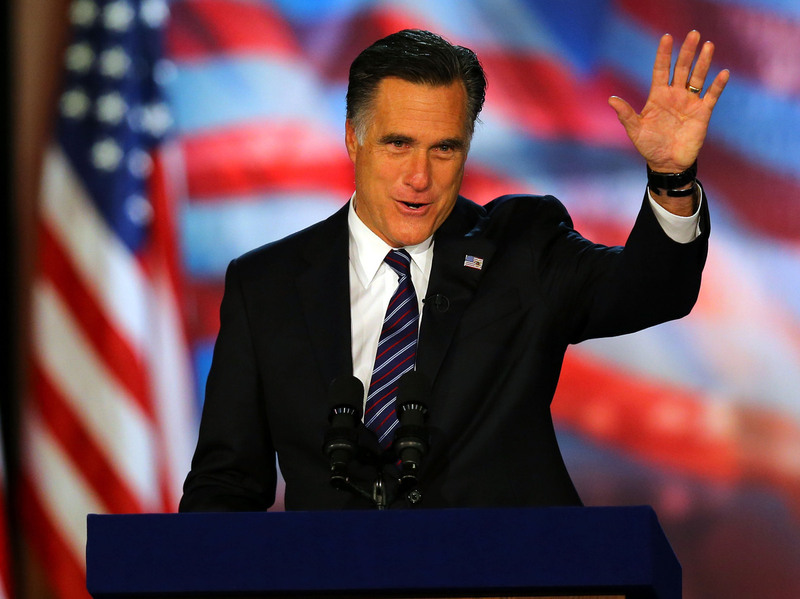 Romney Didn't Want To Run, Son Says : The Two-Way The 2012 Republican presidential nominee had to be convinced by his family to get into the race, his son tells the Boston Globe. "He wanted to be president less than anyone I've met in my life," Tagg Romney says. Republican presidential nominee Mitt Romney on Election Night in Boston, as he conceded the race to President Obama. "He wanted to be president less than anyone I've met in my life. He had no desire to . . . run," said Tagg [Romney], who worked with his mother, Ann, to persuade his father to seek the presidency. "If he could have found someone else to take his place . . . he would have been ecstatic to step aside. He is a very private person who loves his family deeply and wants to be with them, but he has deep faith in God and he loves his country, but he doesn't love the attention."